HONOLULU (HawaiiNewsNow) - A strong area of low pressure will continue to shift eastward, just to the north of the islands overnight. Winds are expected to slowly diminish as the low moves northeast of the area, with weather conditions slowly improving late tonight and through the day on Monday. 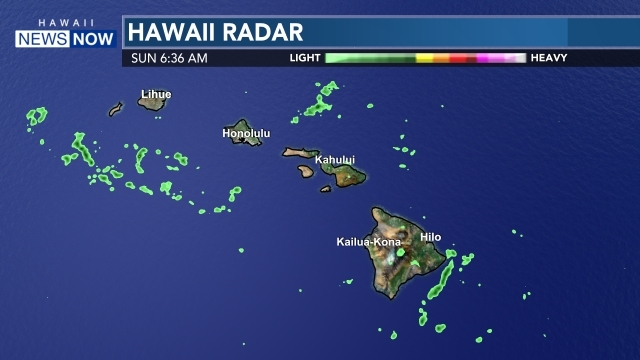 A band of enhanced moisture is expected to move through Tuesday night and Wednesday as the trade winds begin to return, increasing shower coverage and intensity once again. 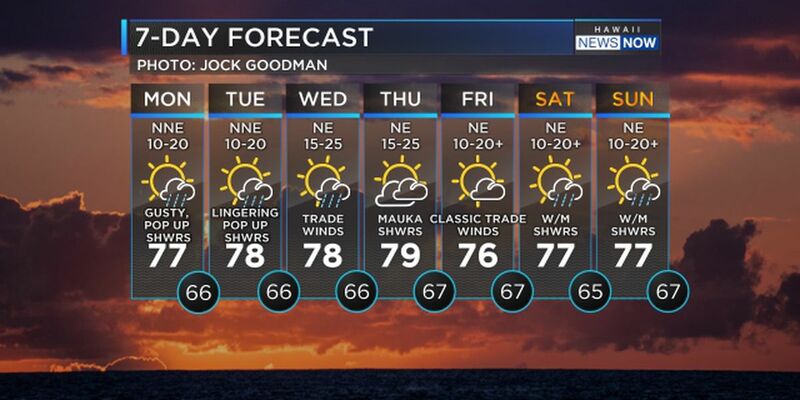 Breezy to locally windy trades are then expected Wednesday night through next weekend, with a more typical windward and mauka focused shower pattern. Extra large surf will continue to flow into north and west shores, most of those coastlines are under a high surf warning until Tuesday. Warning-level surf along east facing shores will be possible Tuesday night into the second half of the week as a large northeast swell builds across the waters. Advisory-level surf will be possible through this time along north facing shores.